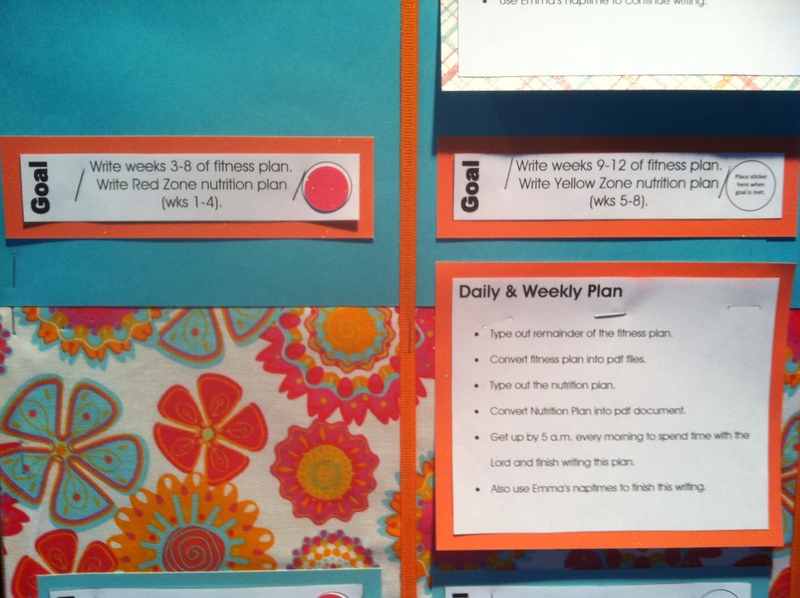 Last week I posted a blog about creating a plan to reach your goals in 2013. While that document is extremely effective, it’s not so creative. When I’m sitting in my office at home working away, I want my goals to “sing” to me. Therefore, I’ve created something to my liking and suits my personality. To keep things inexpensive, I used some old sewing fabric that I had, scrap paper, ribbon, and wah-lah! My goal board that “sings” to me! 1) I’ve selected 4 goals for me to focus on for this quarter (January through March). 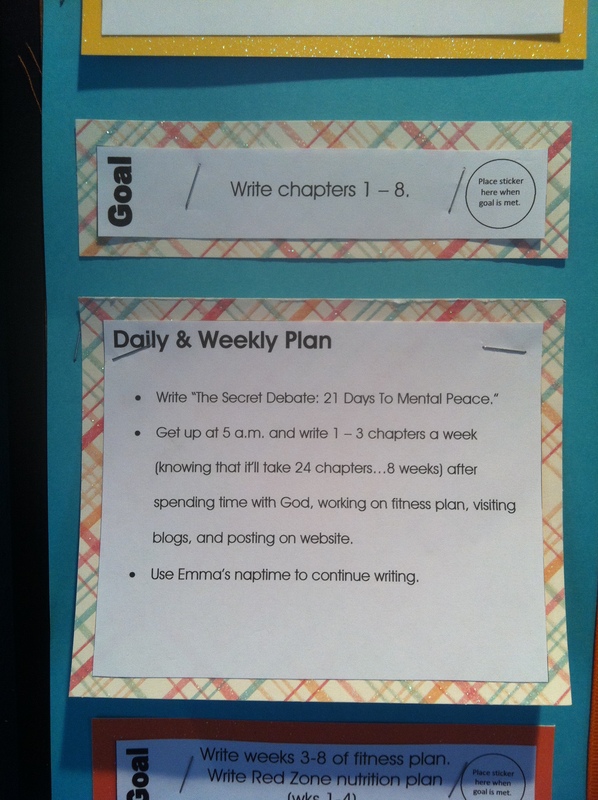 2) I’ve typed out my daily and weekly goals that will help me accomplish my goals. 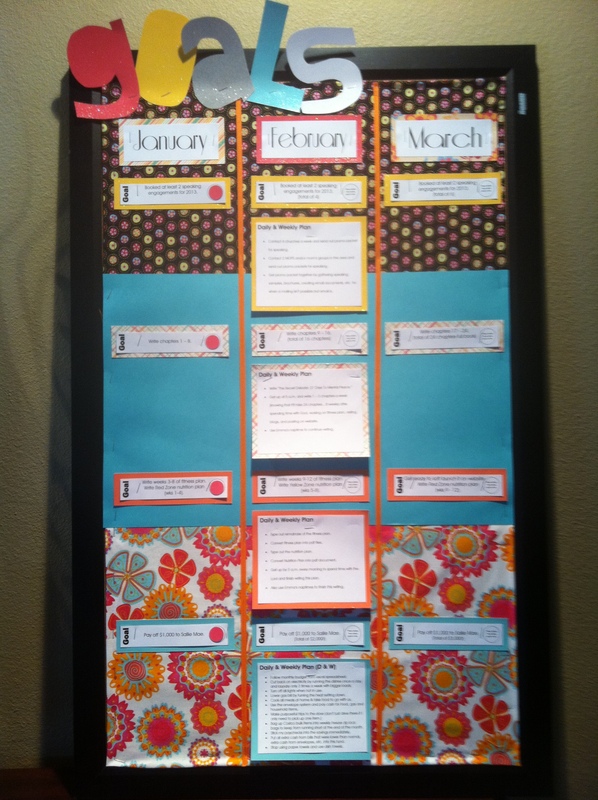 3) I’ve created “check” points each month to see if I’m on track to meeting my goals. 4) If I’m on track then I fill in the circle with a sticker and move it to the next month. If not, I continue working on that one month’s goal and restructure my daily and weekly plan to be more effective. 5) I continue on this pattern for the next two months and only move my daily & weekly plans to the right each month. I would LOVE for you to create your own “goal” board and post it on the website or email it to me at JamyeSack@gmail.com and I can post it for you. There are so many creative ideas floating around out there that I want to see them! 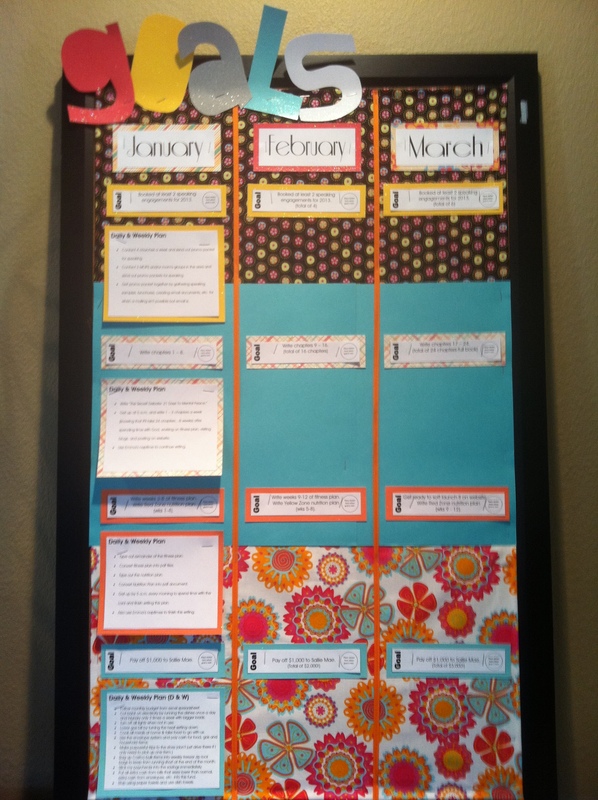 This is what the board would look like in February IF I met my month’s goals. 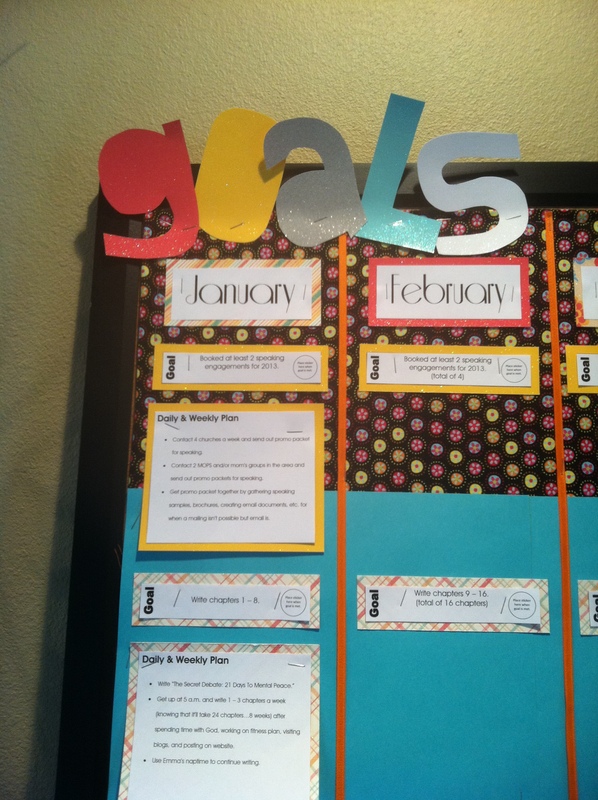 Notice the change of the red stickers under January and the movement of the daily and weekly goals under the month of February. If I didn’t meet my goal for that month there would not be a circle on January’s goals and I would restructure the daily and weekly plan to execute my goal. I just wanted to let you know that I featured this post on my blog for this week! I’m featuring one post every day of the week (updated weekly), and yours is in the “Self Improvement Sunday” category. Feel free to check it out, it’s in the menu under “This Week’s Featured Posts”. Thank you for the honor of featuring my post on your website. Looked through your site and love it! Not to mention I LOVE the name and our common desire for our morning cup of hot coffee. Thanks so much for the comment. I’ve been having a lot of fun with it so far and hope the develop a more steady idea.